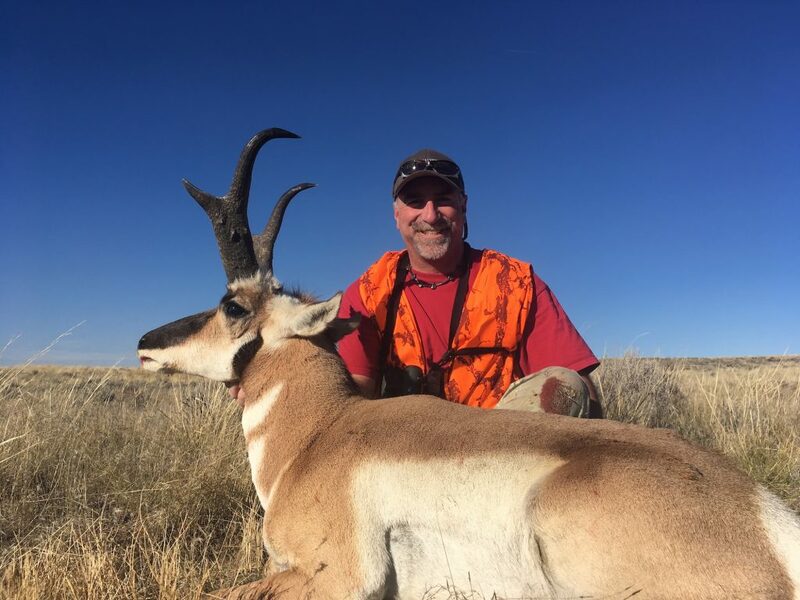 On a crisp Wyoming morning, we caught up with one of our 2018 hunters, Gary. We were excited to hear about his recent hunting adventures, featuring his dad! Gary is an experienced, personable hunter from northern Idaho. He’s incredibly fond of SNS and the hunting experience we provide. 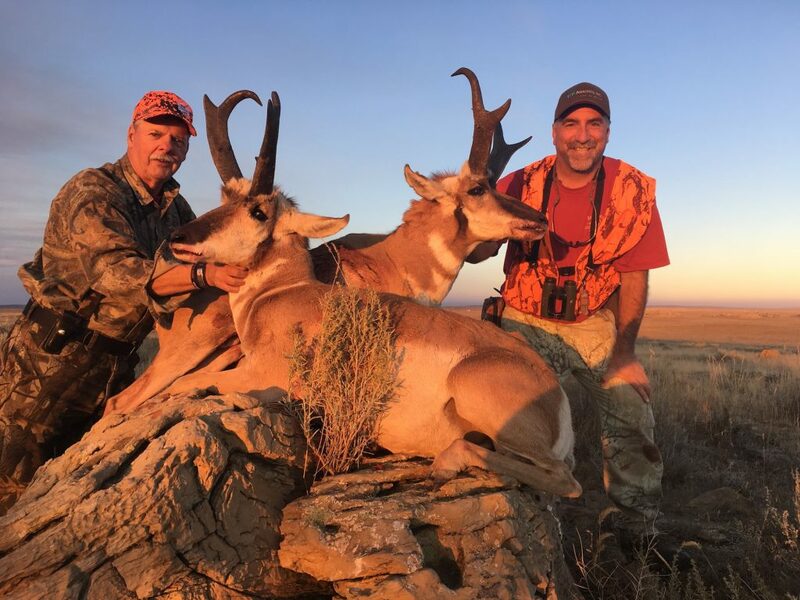 In early October, Gary and his dad went on a memorable, exciting antelope hunt. Gary’s dad, who is 75 years old and lives in upstate New York, decided to get together for an outfitted hunting experience. While they’ve been on hunts in Alberta, Canada (for moose, wolves, deer and elk), along with Montana (for elk and deer), this was their first Wyoming hunt. Their experience with SNS was arguably their most unforgettable hunt to date. First, it may have been Gary’s dad’s last hunt. More significantly, it was his dad’s first-ever antelope hunt, with a successful harvest! Both Gary and his dad went home with beautiful trophies. Richard was their guide, and Gary mentioned how fantastic he was for them. “Our guide was Richard, and he was really good with judging the trophy size and his interpersonal skills were excellent. We had good conversations….he didn’t dominate, he asked good questions and kept the conversation going smoothly throughout the day. It made for an enjoyable experience beyond shooting a nice animal. I’ve hunted with several outfitters over the last 10 years and SNS stood out from among them with your hunter orientation. Introducing all the guides/staff, including something about themselves, the emphasis on safety, hunter satisfaction, etc. was very impressive. No other outfit I have hunted with had this kind of introduction at the beginning of the hunt. Very nice. We finished our interview by asking what the most memorable part of the hunt was. 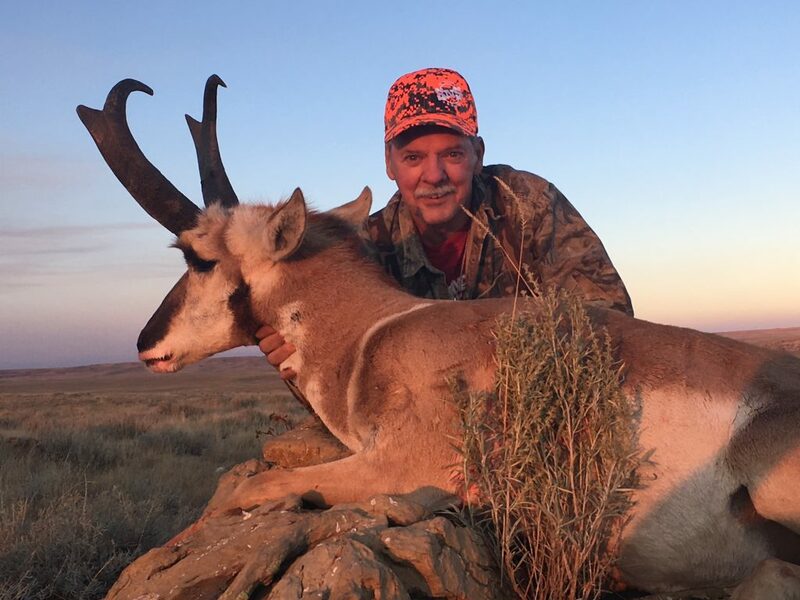 Gary remarked that being by his dad’s side, while he took down his very first antelope, was truly unforgettable. Hunting means something different to everyone. But for these two, it’s a combination of years and years of stories and great moments together. Sometimes, these experiences are emotional, and this hunt certainly was — knowing that it may be his dad’s last big game hunt. We’re so glad we were able to be a part of this memory! Your Outdoor Fitness Elevated: Shed Hunting, The Do’s and Don’ts. ©SNS Outfitter & Guides. All Rights Reserved. Outfitter Web Site Design by Waves Web Design.